Saw this link on a friends FB and was directed to the incredible TIM RACER. 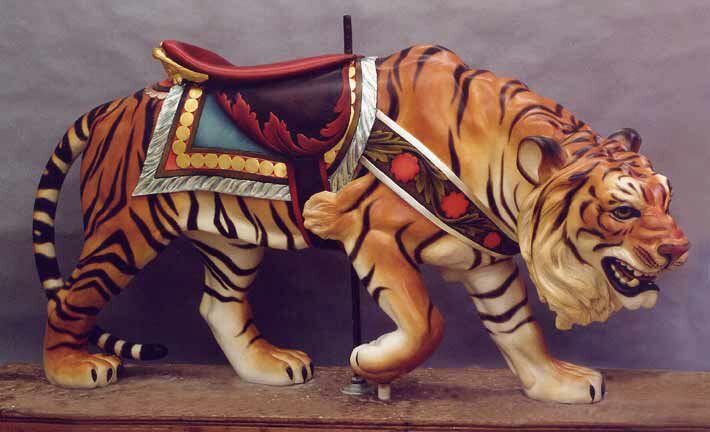 He is an antique wooden carousel animal restorer, working with master carousel painter PAM HESSEY. He has the most beautiful, fluid, realistic yet stylized technique ever, I wish I had more time and words to say how much I admire their talent. Shew!